KAMPALA – The National Water and Sewerage Corporation (NWSC) has launched a new Customer First initiative dubbed “We Care” “Tufaayo” in a bid to improve customer service. The move is in line with the corporation’s strategic direction, mission, vision and the catchphrase “Water for all for a delighted customer by a delighted workforce“. The campaign is designed to reinforce customer expectations that the brand and members of staff are friendly, cheerful and care about the customers while in service. Staff are being encouraged to adopt a ‘service after the meter’ policy which will urge them to serve the customer beyond delivering a bill, water or sewerage services in their homes. In recent days, NWSC has been appreciated by stakeholders, customers and service award organisers for the exemplary customer service models rendered to the customers. 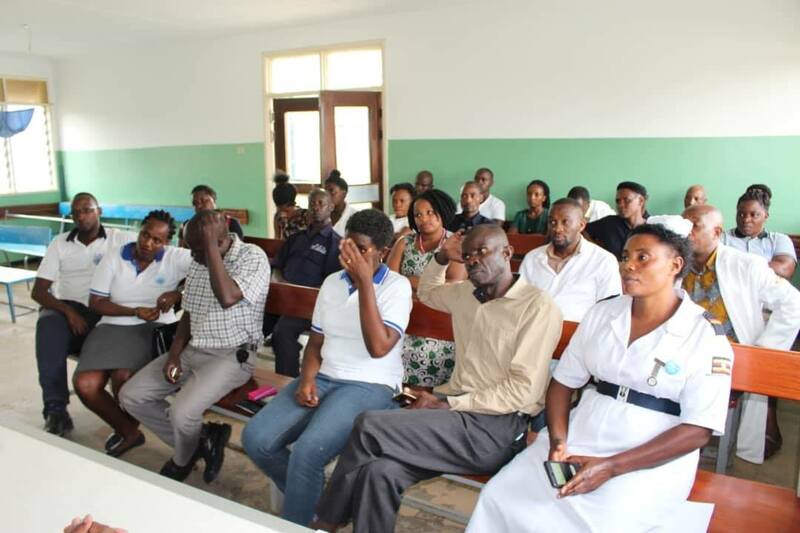 Commenting at the launch of the initiative at Kitagata hospital in Sheema district on Thursday, NWSC regional manager for the Western and South Western region, Eng Mahmood Lutaaya, said: “ The corporation is aggressively extending its network to serve more people across the country. Our target is to install a public water point in every village across Uganda. He was responding to a request by the hospital authorities to lower the tariff for hospitals/health centres. 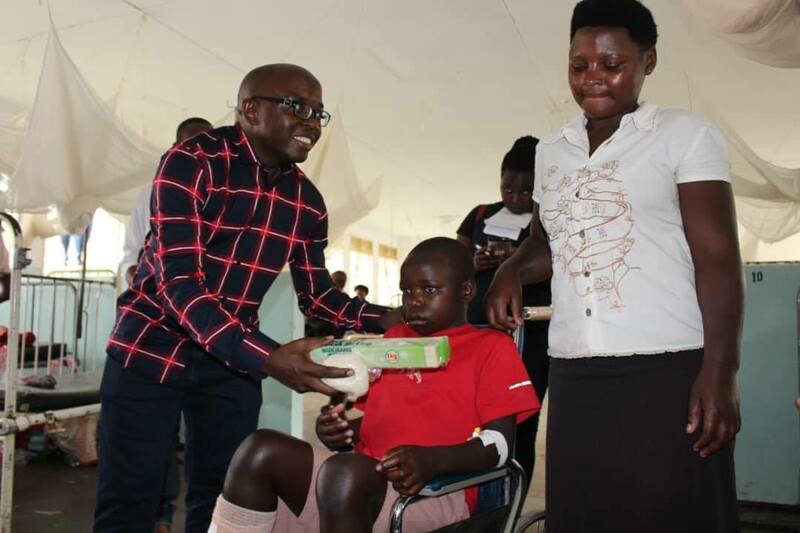 Speaking about the “We Care, Tufaayo” campaign, Eng Lutaaya said that the team came to visit customers in the hospital and wish them a quick recovery. “We want our customers to know that it’s not only about giving you water, delivering a bill or responding to your complaints. We also care about your well being. We are here to serve you beyond your expectations and also record feedback for improvement. He advised the patients to use the soap given to them to wash their hands, utensils and bodies for a healthy life. Kitagata hospital superintendent Dr Johnson Kabwishwa said that NWSC is indeed a caring institution. The team also spent the day washing customer tanks. They sensitized customers on water quality related principles, helped customers understand how their bills are calculated, how to apply for new connections, shared #SCAP100 updates and plans among other NWSC product and service promotions. The “We care” campaign being launched today in Lira, Jinja and Bushenyi is an initiative of the digital media team under the guidance of the Senior Manager Operations Western, Central and Eastern/Northern region. The campaign is going to be rolled out in all areas of operation.